GPS trackers are basically transmitters that allow a person to keep track of certain people like their children. The trackers are accompanied with special mobile applications and desktop software through which you can see the tracker’s current location on a map any time of any day. They are small in size and available in many forms such as watches and tags. 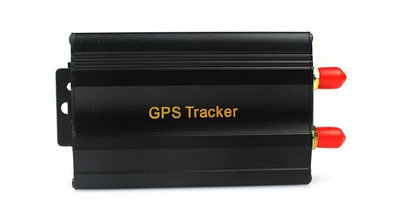 A GPS tracking device is compact and durable. It contains a GPS receiver and cellular radio transmitter. They can pinpoint the position using the GPS satellite system and then transmit the coordinates to a server using the network of your cellular provider. This means a SIM card and cellular services are required for a GPS to work. GPS technology is now used for many purposes including car navigation systems and most of the new smartphones. GPS trackers require service plans from cellular carriers like AT&T, T-Mobile and Verizon. Some may have the cost of services added to the price but most of them do not. The subscriptions cost around $5 to $25 per months and a GPS device costs between $40 and $160. Some of the GPS trackers require buyers to pay a little extra for a tag on a yearly basis if they want to continue using the device. GPS trackers are a popular choice amongst parents since they can always know where their kids are and what they are doing. Some of the premium units also allow for two-way calling and messaging. Other than kids, they can also be used to keep an eye on senior citizens especially those with Alzheimer’s. Some people also use GPS trackers for their adventurous pets or their prized possessions such as vehicles and wallets. All smartphones now come with GPS receivers and you can install apps on them to track the location of the phone. However, there are advantages a car GPS tracker enjoys over third-party smartphone applications. Firstly, data plans on smartphones are much pricier than service charges for GPS trackers. If you want to track your child and they do not have a smartphone yet then it is much more economical to get them a GPS tracker. Secondly, a tracker can run for a longer time on a full charge than a smartphone. They only have to be charged once every two weeks compared to the smartphone that is charged almost every day. There are some options that only need to be charged once every six months. Lastly, a GPS tracker is much easier to hide than a smartphone. It is usually disguised as a regular wrist watch or worn around the neck like a necklace so if worst comes to worst, the abductor might not even notice it. Every manufacturer uses different sources to provide signals to the GPS trackers. Almost all the trackers in this review use GPS however some also rely on additional signals from CDMA, GSM, Bluetooth or Wi-Fi for more accurate results. Some devices include two-way calling to one or more than one preset numbers. Others have panic buttons that can automatically alert the emergency contact via text message or email. These features are helpful for those users who do not have access to their cellphones. GPS trackers in the form of watches are not as versatile as small boxes or tags. The durability and quality of material used for the body also affects the hardware. The charging ports and device chargers must also be the universal micro USB ports so the trackers can be charged anywhere. A good GPS unit also comes with its own power block that can be plugged into an electrical socket. A tracking device should also be operational in foreign lands. One such choice is the Spy Tec STI GL300 which is perfect for those who are always travelling abroad. All tests conducted on these devices were run in simulated environments that copied real-life situations and experiences. The GPS trackers were separately purchased to run the tests and none of the manufacturers sponsored the rankings. The devices that use multiple sources to pinpoint the location were more accurate especially when used inside buildings. Also the intervals between location update is also a note-worthy factor. Each device has a minimum and maximum interval for updates and lets user deicide how frequently they want to be notified of their child’s whereabouts. Some trackers can notify you every few seconds while others will send updates after every six hours. You can customize the interval between updates in most units. Some even offer updates on demand which is extremely helpful but does not suit everyone. The best feature of a GPS tracker is the setting up of a digital perimeter or specific zones which have been approved and marked safe. These are called GeoFences. The device can alert the owner any time it is taken outside the GeoFence. The Amber Alert GPS has the option to directly call the child or allow them to call you or other approved contacts. To use this feature however, a cellular calling plan is required. A few of the trackers are able to receive text messages as well, removing the need to buy an expensive smartphone. The location of the GPS tracker can be monitored by logging into your account on the manufacturer’s website or by downloading the companion application on your smartphone. Some companies offer both access options. The best trackers let you view the current location as well as travel history of your child. They also allow the set-up of GeoFences and receive alerts each time the child enters or exits the safe zone. Every app comes with the option to customize alerts including the speed limit notifications and low battery alerts. The battery life of each device is different and depends on several factors. The life expectancy of the battery is dependent on the frequency of updates, uptime, talk time and use of other functions. Some devices have to be recharged very few days which can be frustrating for those who have busy schedules. They can choose the ones that last up to a fortnight on a single charge. People who often forget to charge their devices should opt for the My Buddy Tag which has a battery life that lasts an entire year. You only have to replace the tag on the tracker after a year for a minimal cost and then be care-free for the next 12 months. Since these devices are meant for children it is important that they should have a simple interface that is easy to understand and navigate. The devices can be fairly easy for teenagers but too many buttons and functions might overwhelm the adolescents. The best device only has two or three buttons with a clearly labelled panic button. Also a digital display with legible fonts and a few functions can also be used by younger kids. The devices are usually flexible and can be worn in any fashion and stored anywhere. Some of the devices offer the versatility to function as wrist watches with bands that grow as the child does. Others are attached to lanyards and can be worn around the neck. The smaller devices can easily fit in the palm of a child’s hand and stored in their pocket, backpack or any other place on their person. Most of the trackers are able of withstanding the daily wear and tear. The Spot Gen3 in particular has a rugged, high-quality design that is water-proof and can survive drops on the floor or pavement from a low height. These trackers are designed for kids who are boisterous, athletic or always on the go. The devices are not usually completely water-proof but can withstand a few splashes of water without frying up the internal circuits. The better options have charging ports covered up with rubber seals to ensure no water gets inside. The best ones are a bit expensive but sturdy and well-designed. The ease of access and usability of the accompanying online portal or mobile phone application was also checked to determine which GPS tracker is the best. These are the places where the updates and location logs of the child are shown and settings are adjusted. The apps that were the best had a simple layout with an intuitive design. This included very option labelled clearly and easy to navigate through. It also allowed for complete customization of the settings and alter notifications. Because a GPS tracker can be the only link you have with your child when he is not with you and it is also an important tool in case of emergencies, buying a good quality product is extremely important. The device should be supported by proficient customer services by the manufacturer. Choosing a device which has a long warranty period and multiple additional resources gives the user a good chance of getting the most out of their GPS tracker. Buy from a manufacturer that offers at least one way for customers to reach out to them, either via email, chat or phone. Also the website of the company should include lengthy and comprehensive resources on the GPS device and its features including FAQs, user manuals, community forums and database. This will make it easy to get updates on the products and troubleshoot any technical faults by contacting customer service representatives. All the products reviewed have at least a one year warranty with some extending to a lifetime warranty as well. All of the devices except one require monthly subscriptions to operate but they usually only costs under $10, however some may cost up to $25 per month. The initial price of the tracker and the monthly subscription charges should be considered in line with the features of the product before buying it. Some units charge an additional fee to connect the tracker to a cellular network provider that is compatible with it. All the devices use GPS satellites but also require cellular networks for additional accuracy. For frequent travelers, the Yepzon One is a good option since it works overseas as well. The top three products that performed well in every respect are the Amber Alert GPS, Trackimo and BrickHouse Security Spark Nano 5.0. They all have user interfaces that are kid-friendly and include many abilities that make them a tracking and monitoring powerhouse. However, the best GPS tracker has to be the Amber Alert GPs because it has complete features and has a sturdy design that is usable by people of all ages. The BrickHouse Security Spark Nano 5.0 has many great features such as a long battery life so there is no need to charge it every day and the monthly subscription fee is also low. While Trackimo offers flexible ranges for update intervals and has the lowest monthly subscription fees. For those who are not flexible with their tight budget, there are many good options such as the My Buddy Tag that offers the basic features and functionality comparable to the expensive brands. My Buddy Tag costs less than $40 and does not require a monthly subscription. Its battery can last for a whole year and only the main tracking device has to be replaced annually. However, the tracker is not as functional since it relies on GPS and Bluetooth for location services. A GPS tracker gives you and your family peace of mind since you can know exactly where your child is all the time and make sure they are safe and not in an unknown or dangerous place. The panic button allows the child to notify you immediately when they are feeling scared or nervous and even though no parent should ever go through the horror of having their child kidnapped, a GPS tracker can help in those situations as well.